Ziamond is a jewelry manufacturer that specializes in high quality cubic zirconia that is set in precious metals such as Gold and Luxurious Platinum. All Ziamond mountings are the same high quality mountings used to set real diamonds. At Ziamond all our stones are set in your choice of 14K Yellow, White or Rose Gold, 18K Yellow, White or Rose Gold, or Luxurious Platinum mountings. At Ziamond, the gold jewelry mountings are made with 18k (karat) or 14K (karat) solid gold. 18k gold contains more precious metal than 14k gold. 18k is composed of 75% pure gold which is alloyed with other metals to make it strong enough to withstand everyday wear. 14k gold is composed of 58.5% pure gold, and 41.5% other metals that give it strength. Pure gold is 24k, and it is too soft to use in most jewelry. Unlike Platinum, 14k white gold is not naturally white. White gold is not mined, it is alloyed from yellow gold. Because 18k White Gold is 75% gold, and 14k White Gold is 58.5% gold, jewelry made from these metals have a slight yellowish color. To enhance the whiteness, almost all white gold is finished and polished with rhodium, a super shiny, white metal which is extremely hard and expensive. Rhodium is in the platinum family of metals and is very durable. Depending on the amount of wear to a piece of jewelry, over time this rhodium finish may show signs of wear, revealing the original metal color. Re-finishing is a simple process that can be done to restore your jewelry's whiteness, if needed. Popular in the 19th century, Rose gold is a gold and copper alloy, also referred to as pink gold and red gold. Although the names are often used interchangeably, the difference between red, rose, and pink gold is the copper content � the higher the copper content, the stronger the red coloration. A common alloy for rose gold is 75% gold and 25% copper. Since rose gold is an alloy, there is no such thing as "pure rose gold". With the latest comeback of high fashion colored diamonds, Rose gold has also made a comeback. Platinum is regarded as the elite metal for fine jewelry. It is versatile and will not wear away. It holds gemstones securely and is generally 95% pure and one of the only metals that is hypoallergenic and therefore ideal for those with sensitive skin. It�s pure naturally white metal will not cast any of its own color into a diamond. Platinum jewelry stays white, and it also develops a patina that many think gives it a vintage jewelry feel. 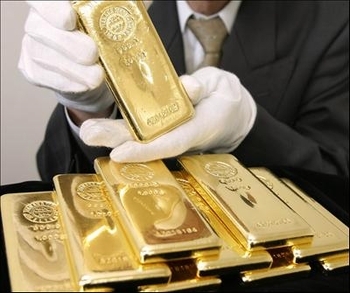 It is a strong, denser than gold and is just about twice the weight of 14K gold, and 25% heavier than 18K gold. All platinum jewelry is generally stamped with either Plat or PT950, both of which indicate 95% pure platinum and 5% alloys. How do I know that a piece of jewelry is made of platinum? All platinum jewelry is hallmarked. There are a number of symbols or marks that have to be displayed on a piece of jewelry to indicate that it is high purity platinum. Here are some recongized examples of the platinum marks to look for: PLATINUM or PLAT, PT950, 950PT, 950PLAT, PT900, 900PT, 900PLAT, PT999 and PT850. All precious metals scratch. We suggest having your jewelry polished if you are interested in maintaining a high shine. You should remove your jewelry when undertaking heavy work. It is also advisable not to handle harsh chemicals when wearing your jewelry.